It really is beginning to look like Christmas, with a fresh new giveaway in which you could win Sony CD packs! Yes, we’re teaming up with Sony this week to give you the chance to win one of three prize packs each containing five hit Sony albums, including Australia’s current number one LP ‘Friends For Christmas’ by John Farnham and Olivia Newton-John. There’s the new James Arthur album ‘Back From The Edge’ (featuring the No.1 smash hit ‘Say You Won’t Let Go’), Jessica Mauboy’s No.1 soundtrack to the hit TV show ‘The Secret Daughter’, Robbie Williams latest LP ‘The Heavy Entertainment Show’ and the deluxe edition of the new Little Mix album ‘Glory Days’, featuring their top five pop stormer ‘Shout Out To My Ex’. And we have three of these album five packs to go. To enter, head to our (CONTACT) page. Fill in your full name and email address in the spaces provided. In the ‘Subject’ box, put the title ‘Sign Me Up For Sony’s Stuff’ and in the ‘Comment’ box tell us who your favourite Sony music artist is and why. You’ll also be needing to give us your full postal address in case you win. Competition closes at 10:00pm AEDT on Friday December 23, 2016. Only one entry per residence and email address will be accepted. Open to Australian entries only. We’ll pick our favourite three winners from the entries. Winners’ first names, suburbs/towns and states will be published on the site on Christmas Eve (Saturday December 24, 2016). 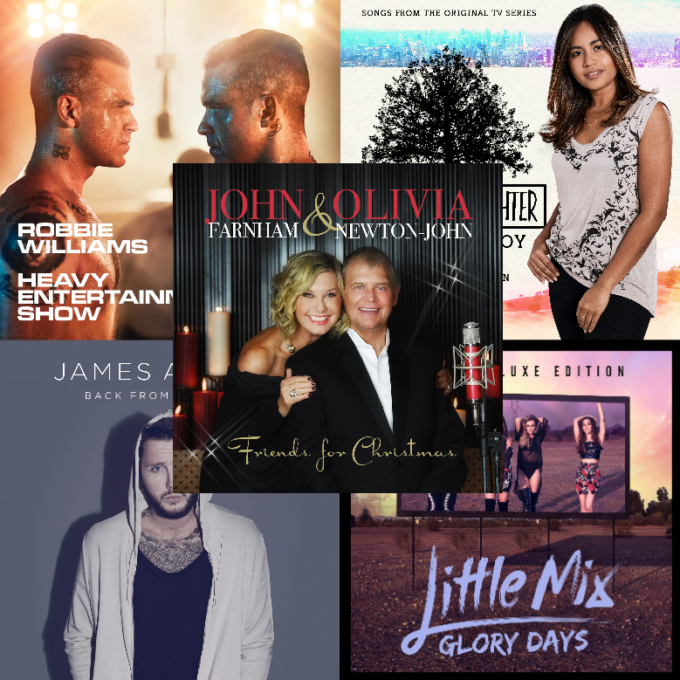 Three lucky punters will each receive a Sony prize pack, containing the latest albums from Robbie Williams, James Arthur, Little Mix, Jessica Mauboy and John Farnham & Olivia Newton-John. And just in case you needed a little reminding… your privates are private. We don’t store your names, email addresses, messages etc etc. We simply utilise them solely for the purposes of prize distribution should you be one of the lucky ducks who wins the loot. Good luck!